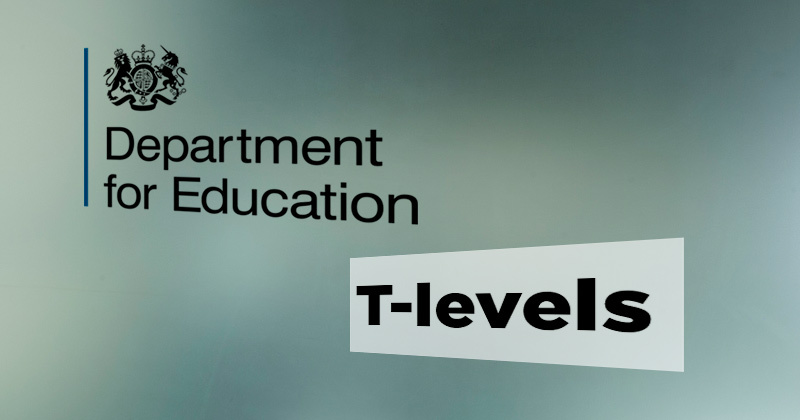 Providers can now bid to become one of the first to deliver T-levels, the Education and Skills Funding Agency has announced. Guidance, published today, invites expressions of interest from providers who want to deliver the new qualifications in 2020/21, and sets out the criteria they will need to meet. But while it says that the Department for Education is looking for a “small number” of providers it’s not clear how many it wants. Providers – which can be colleges, independent training providers, university technical colleges or schools that currently deliver relevant ESFA-funded 16-to-19 education to at least 10 students – must be rated ‘good’ or ‘outstanding’ by Ofsted and must have at least ‘satisfactory’ financial health. They must also “demonstrate excellent attainment in the relevant vocational qualifications for the T-level pathways they wish to deliver” – judged to be at least a ‘merit’ average. The guidance doesn’t specify the number of providers the government is looking for – although it does say that if there is “significant interest” it will apply further criteria to reach a “manageable number” – including giving priority to grade one providers. It also discusses the steps the DfE will take to ensure there are providers across the range of types, and from the DfE’s opportunity areas, as set out in the recently published social mobility action plan. The guidance includes a list of commitments that the chosen providers will need to make, including working with the DfE ahead of 2020 “to help develop the best approach to implementation”, and working “collaboratively with employers to offer a substantial work placement with an employer, away from the students’ learning environment”. The first three T-levels set to be delivered from 2020 will be in digital, childcare and education, the DfE announced in October. Consultation on the new qualifications opened at the end of November – although ex-education secretary Justine Greening told FE Week that the government would not budge on plans to make them level three and to include a mandatory three-month work placement.